U.S. 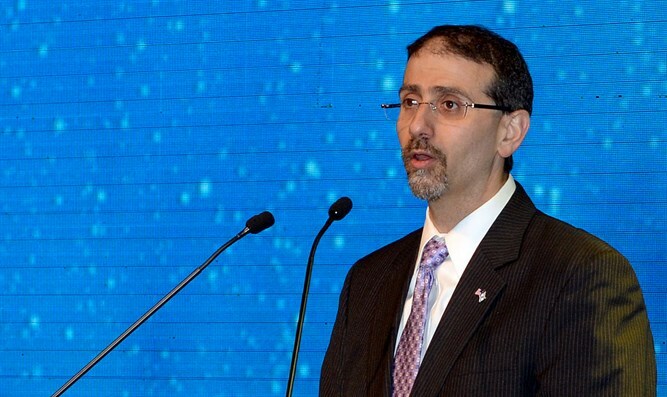 Ambassador to Israel Dan Shapiro says the next American defense aid package will cover Israel's security needs until 2029. The next American defense aid package to Israel will be the largest aid package to any country in history, U.S. Ambassador to Israel Dan Shapiro promised on Sunday. He spoke at the opening of the 16th International Conference of the International Institute for Counter-Terrorism at IDC. "The defense aid agreement, which I hope will be signed soon, will cover the security needs of Israel until 2029, and will be the largest assistance package in history by the U.S. to any country," said Shapiro. Israel and the U.S. continue talks on a new aid package to replace the existing one which remains in force until 2018. Shapiro's comments echo those of officials in Washington who recently said they believe Prime Minister Binyamin Netanyahu would sign the new memorandum of understanding with the Obama administration instead of waiting for the next president. Sunday evening's event also included a memorial marking the 15th anniversary of the September 11, 2001 attacks, and Shapiro said that after that day, the U.S. and its allies shared not only grief but also their determination to beat their enemies together. “Today terrorists know that the U.S. and its allies not only mourn together, but also fight to beat the enemy,” the ambassador said. He stressed that in recent years the U.S. has invested billions of dollars in the Iron Dome, Magic Wand and Arrow defense systems. "The tremendous success of the Iron Dome, which intercepted 700 rockets in populated areas during Operation Protective Edge and saved countless lives on both sides of the conflict. The war on terror must adapt to constantly changing threats. Therefore, the IDF and the Defense Department are focused on a new threat: the threat of the tunnels, and are developing advanced technology against the tunnels, and the United States provides more than $40 million to Israel,” said Shapiro. "The United States has been strongly fighting terrorism since 9/11," he stressed. "We have had tremendous success. Security and intelligence forces have thwarted dozens of plots. The army struck terror networks. We eliminated Osama bin Laden, but as the president said the issue is not resolved. We continue to take seriously the threats of ISIS, Hamas and Hezbollah, and we have no illusions about the devastating and dangerous effects of Iran in the region and its support for terrorist organizations. There is room for optimism. We are here with a set of values ​​that is more convincing than the hatred and fear of terrorism."